The latest Google Chrome Version 75 will make the privacy mode work better in the Incognito feature by fixing a bug in the File System API.There are plenty of users who leverage Chrome’s Incognito mode on a daily basis, but for many people, Incognito Mode isn’t nearly as secure or private as you would think. As a matter of fact, lots of websites can still leverage cookies while you are on the site and track you as long as the browser window stays open. We had earlier reported that Google Chrome could be spying on its users even if they were using the Incognito feature. However, with this new update, that old speculation is now confirmed. Better Privacy mode is just one of the features coming in the version 75 Chrome update. Google will also reduce the loading time on Chrome mobile browser by utilizing Lazy-loading. It is a design pattern in which only necessary information is loaded to optimize page load times. Mobile searches amount to 50% of total searches, thus Google has an incentive to optimize the mobile browsing experience. Phishing attacks have risen in the past year and the demand for a secure browsing experience is going to decide the success of any browser. Data breach instances, like a zero-day vulnerability found in Internet Explorer, are harmful not just for users, but for the tech company itself. However, with their latest Chromium browser Edge, Microsoft is starting to turn things around. They recently added Sling TV support, which lets users watch media content without switching to other browsers. Another good feature in the Chromium browser is the ability to change the default search engine in the web browser. 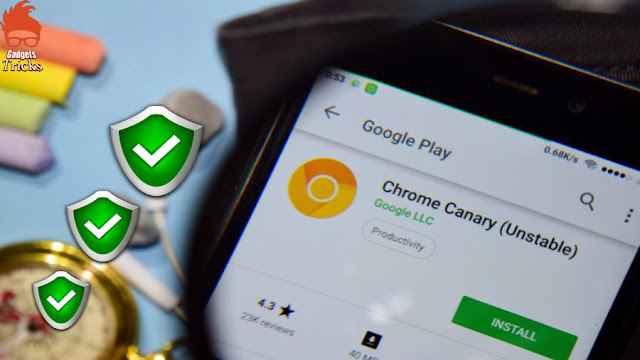 Nonetheless, Google still remains several steps ahead of Microsoft when it comes to making the browsing experience secure.